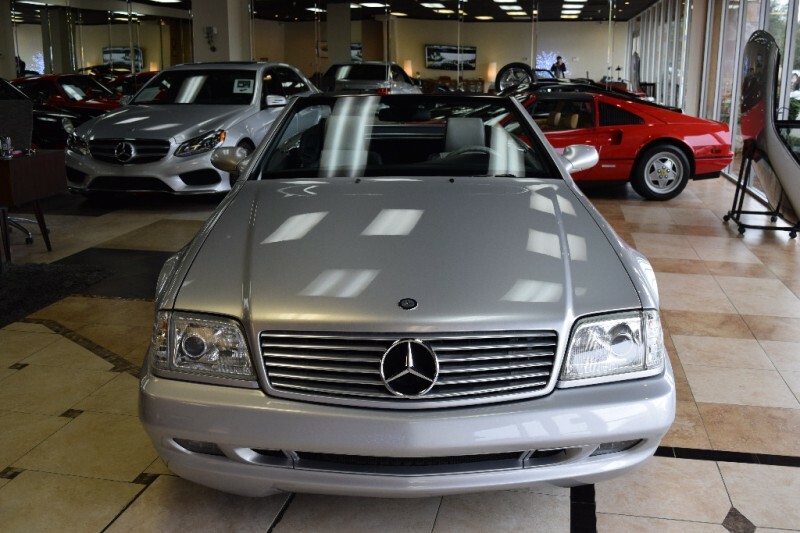 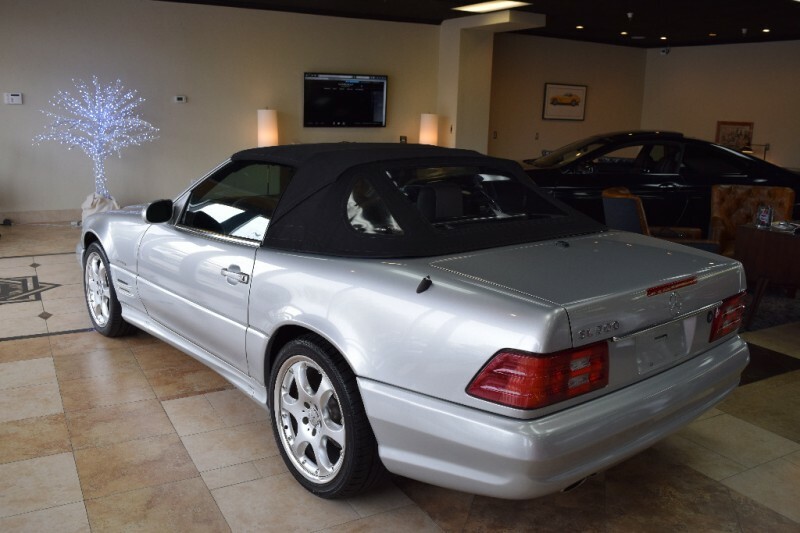 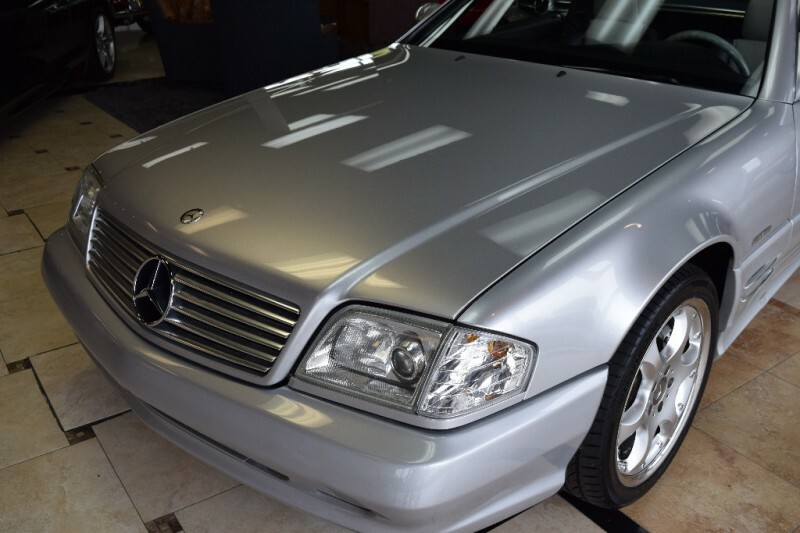 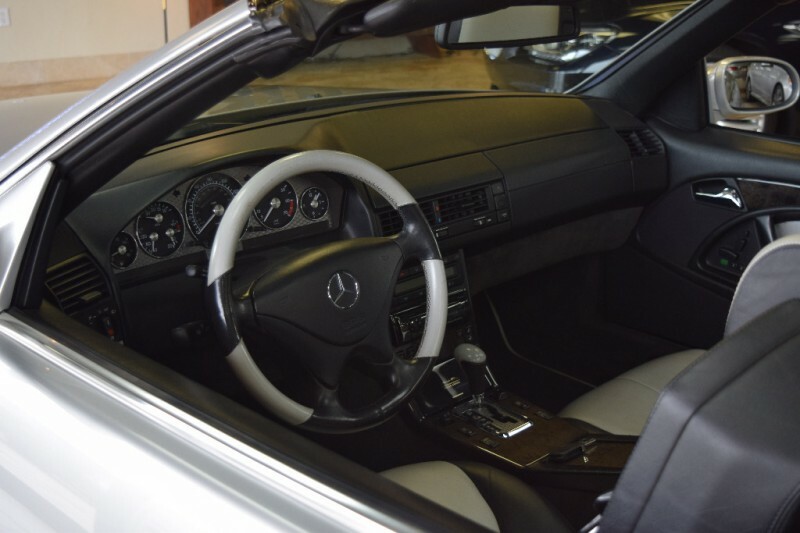 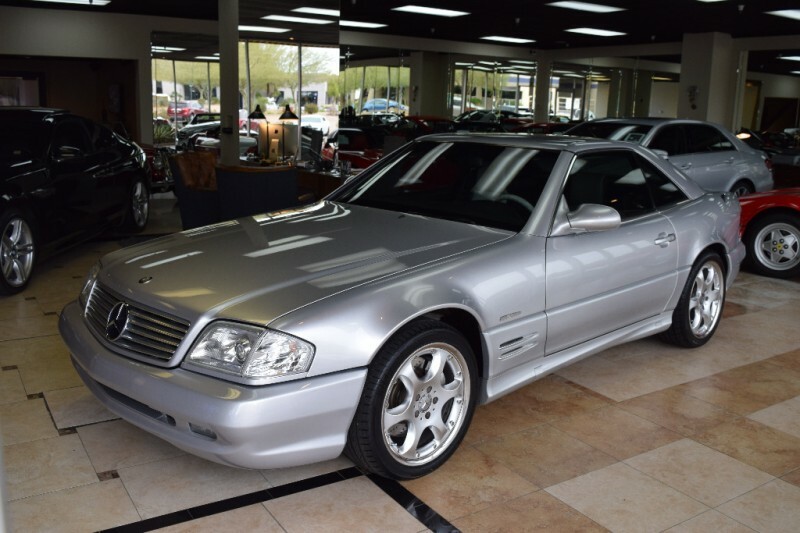 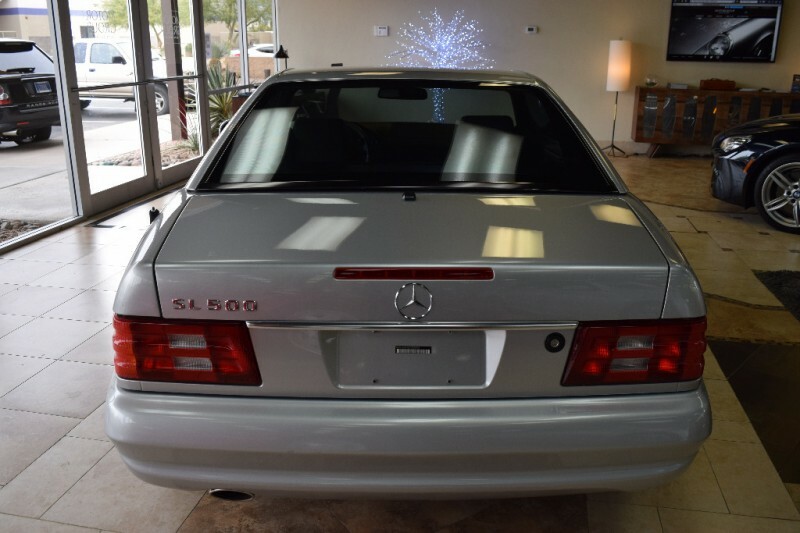 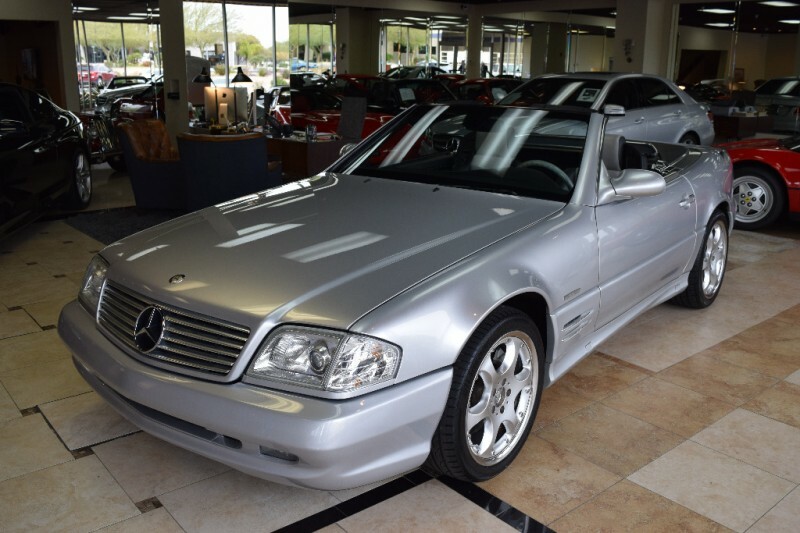 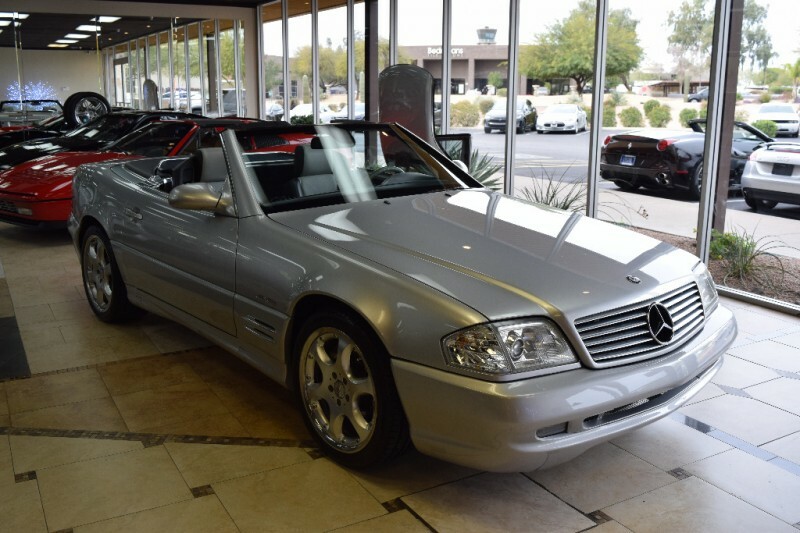 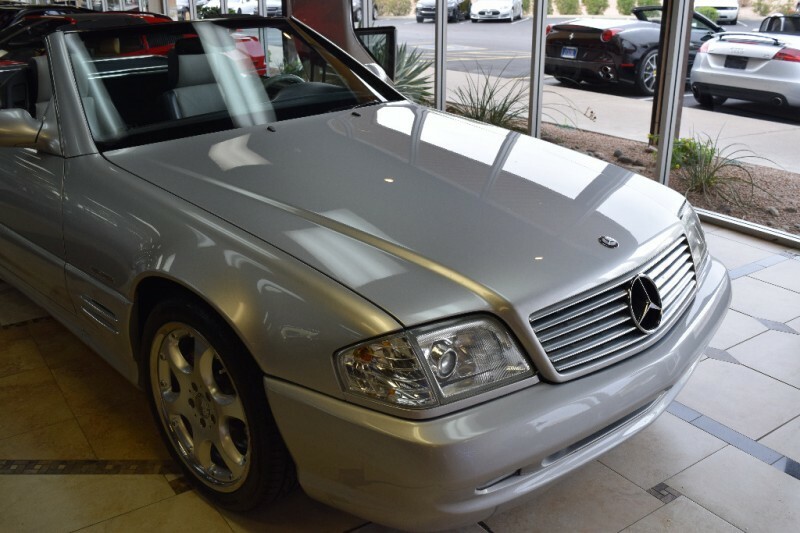 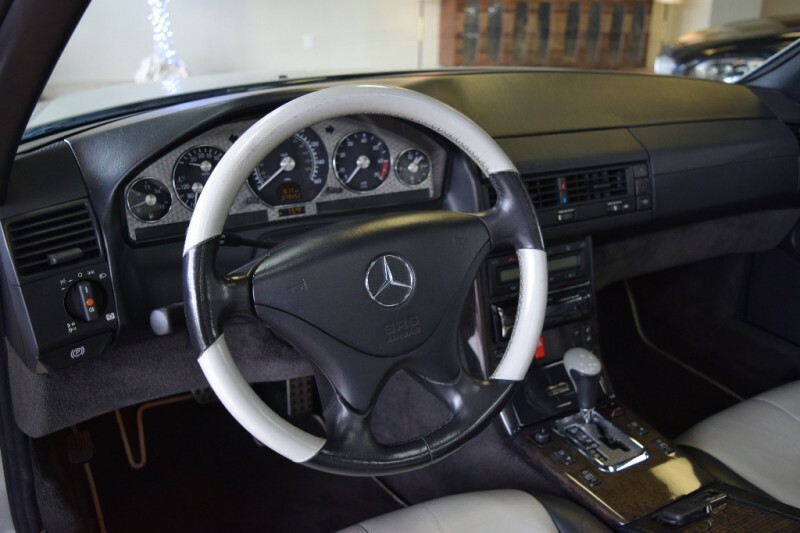 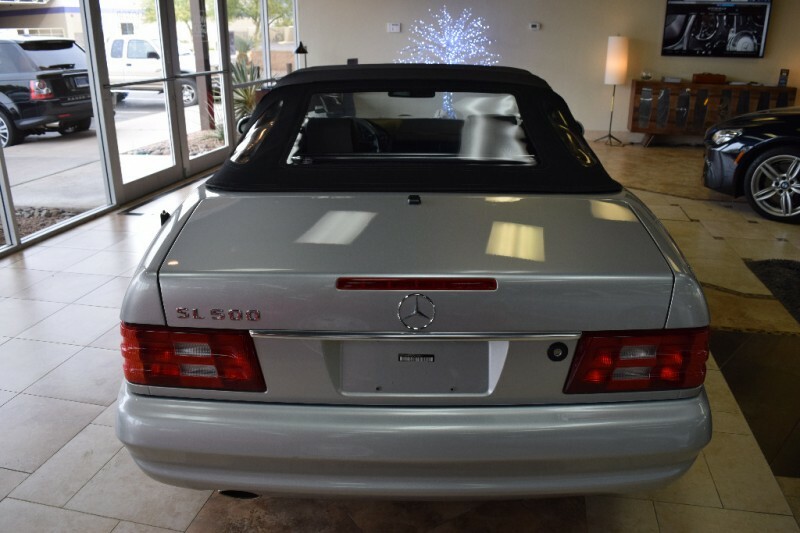 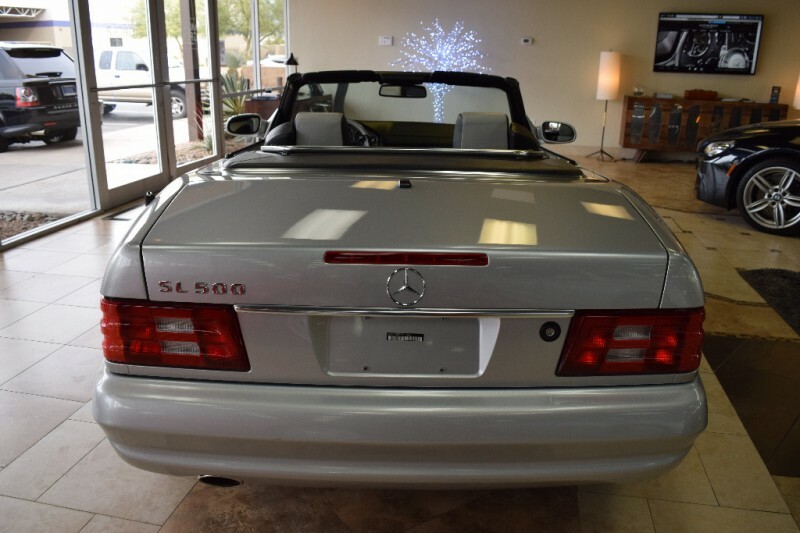 2002 Mercedes-Benz Silver Arrow Limited Edition SL500. 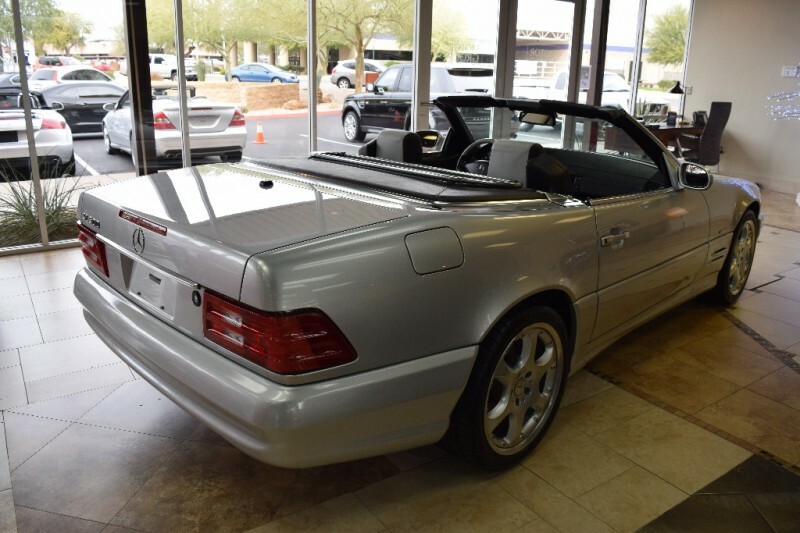 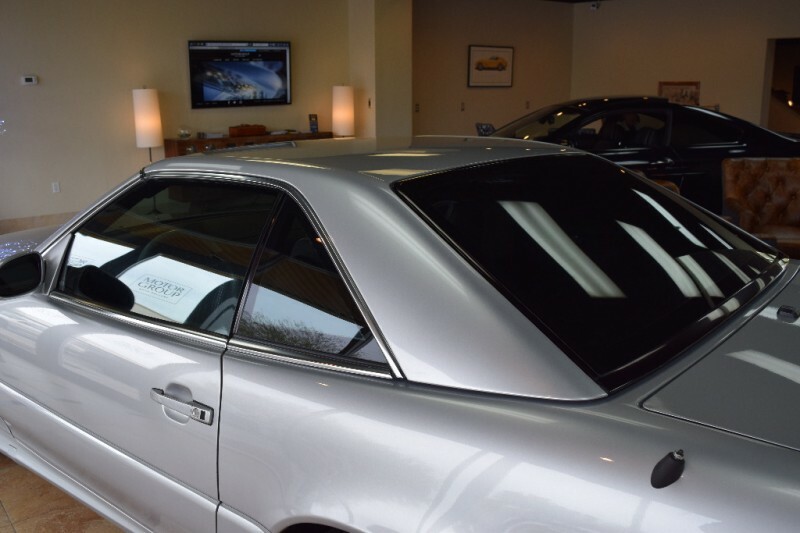 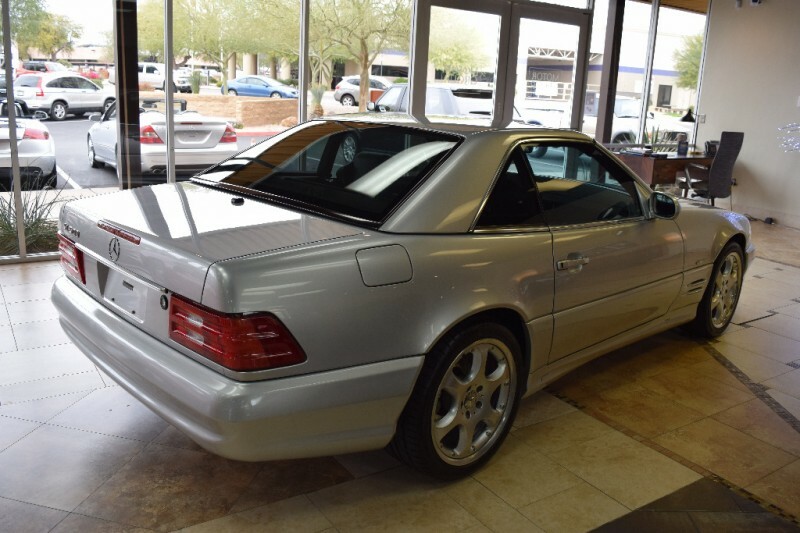 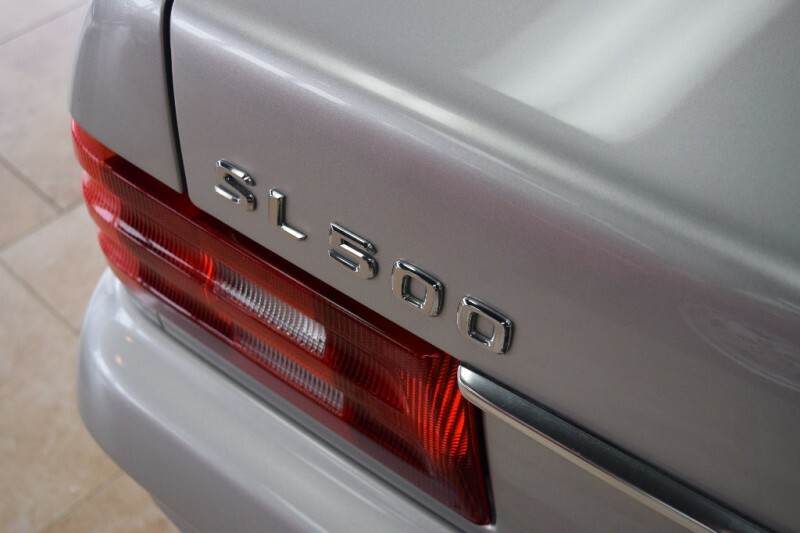 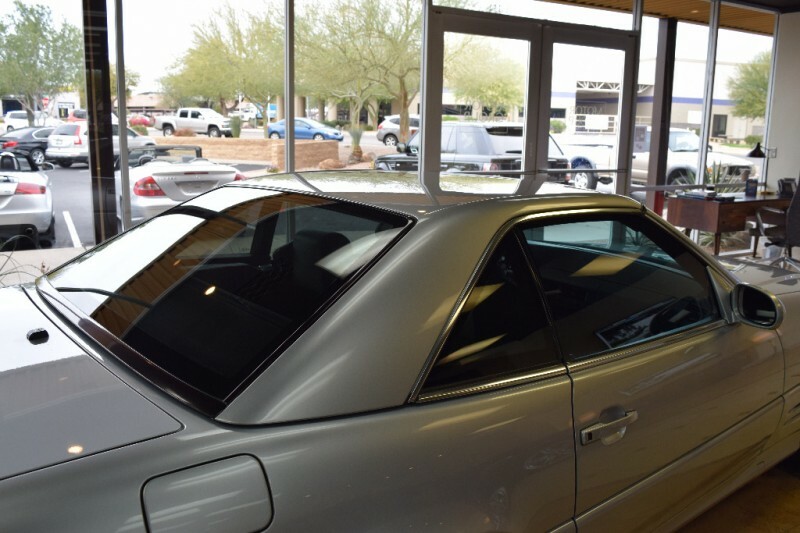 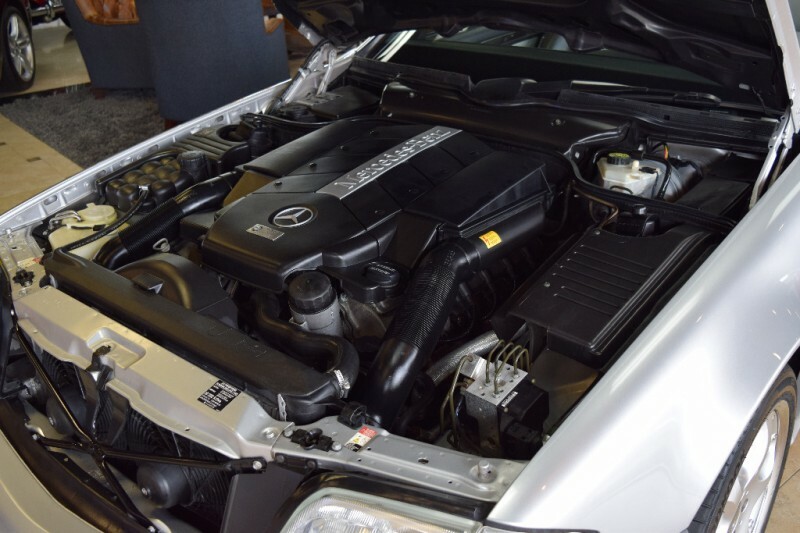 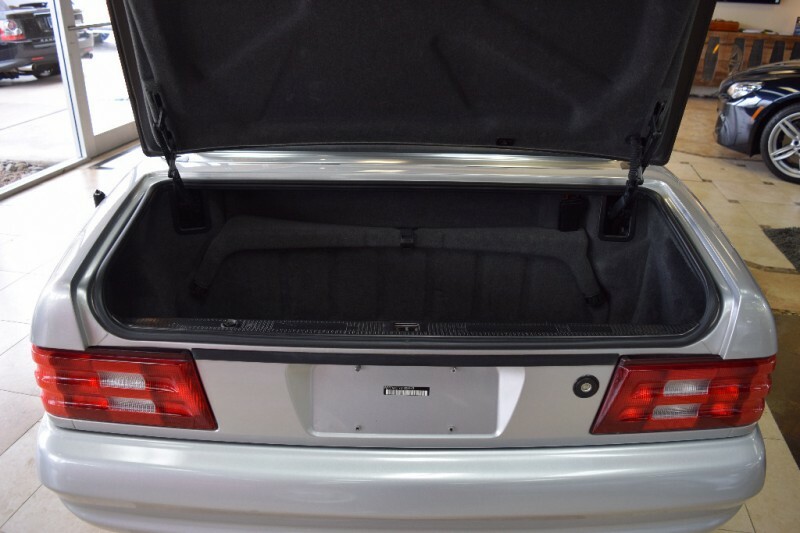 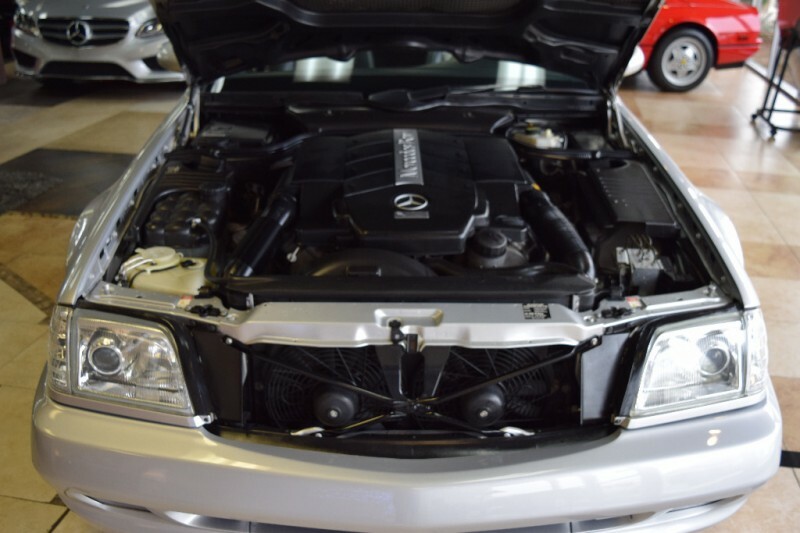 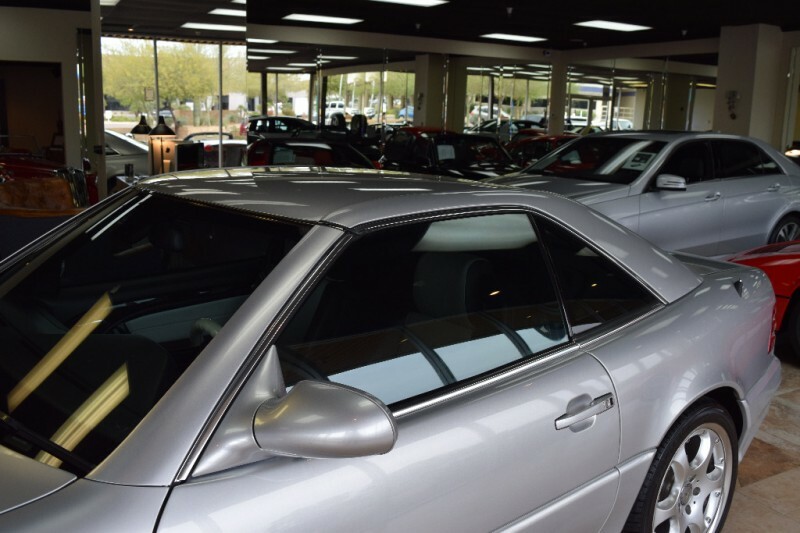 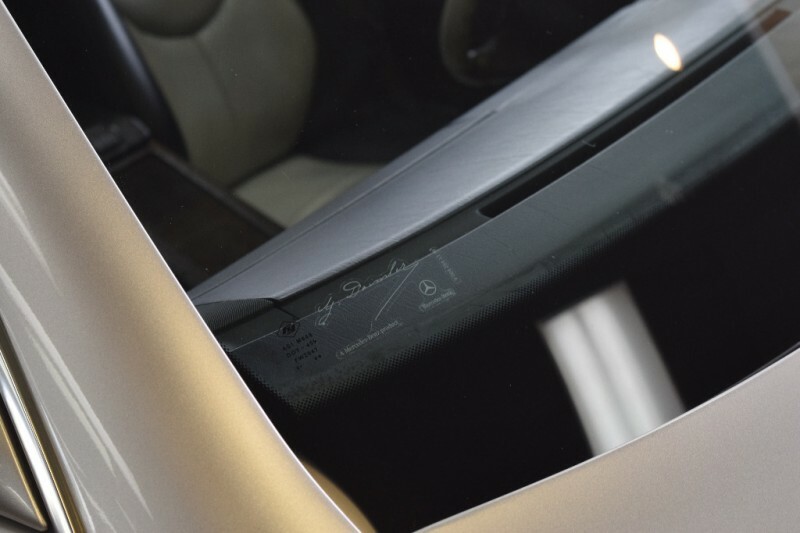 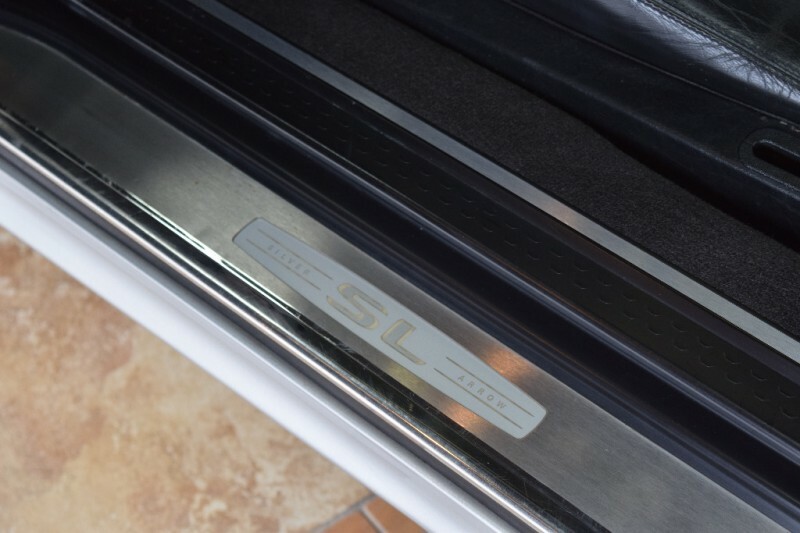 The Silver Arrow Limited Edition SL500 were specially trimmed R129s introduced as run-out 2002 models to cap the R129s’ career prior to the release of the new-for-2003 R230 SL500. 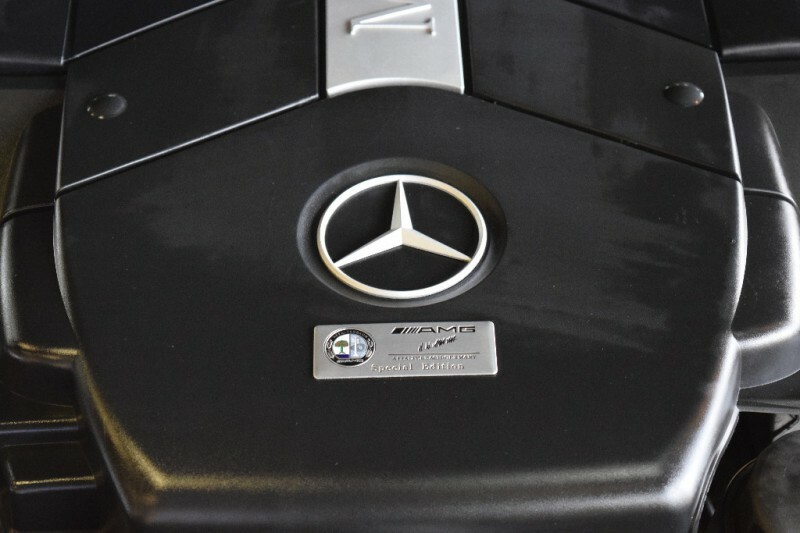 The cars were so named to commemorate the historic Silver Arrow Mercedes-Benz racing cars of decades past. 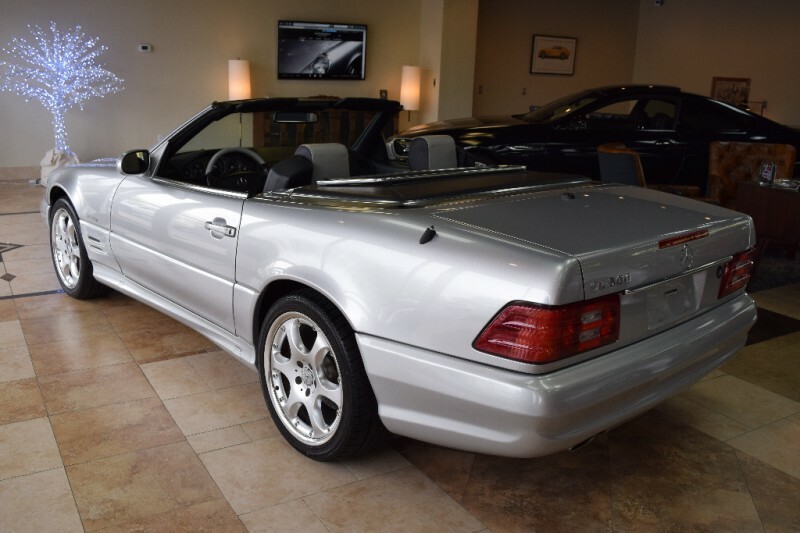 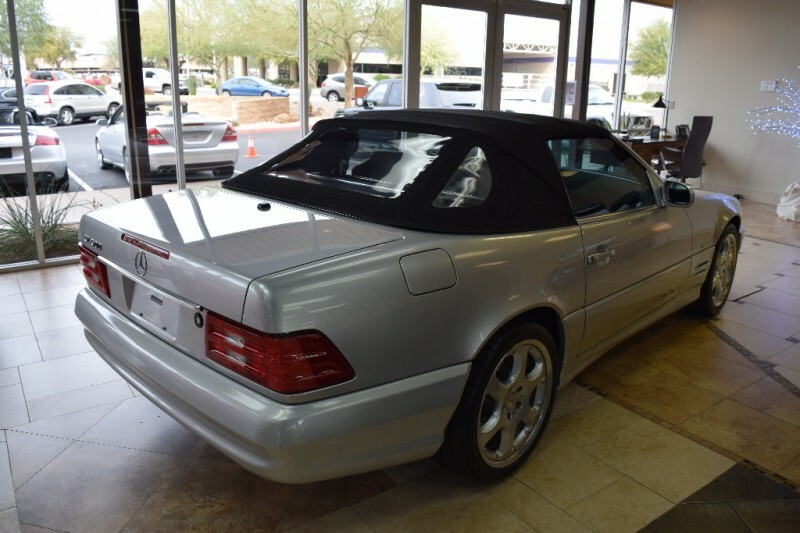 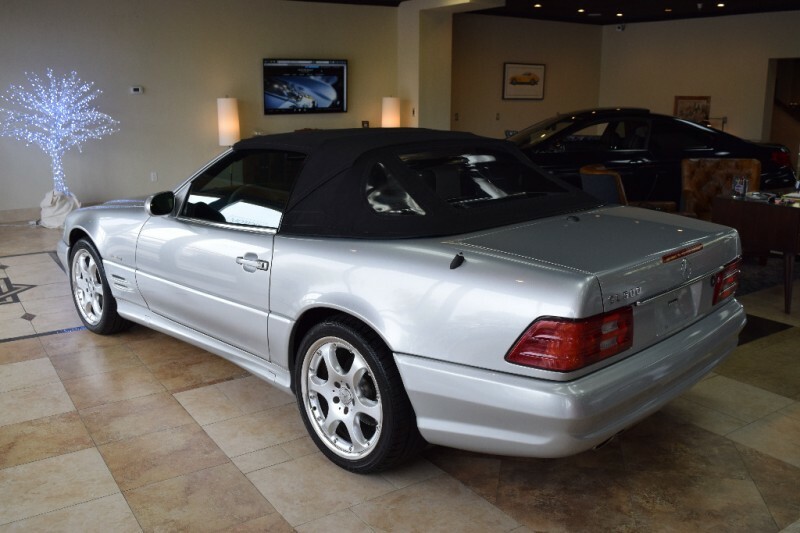 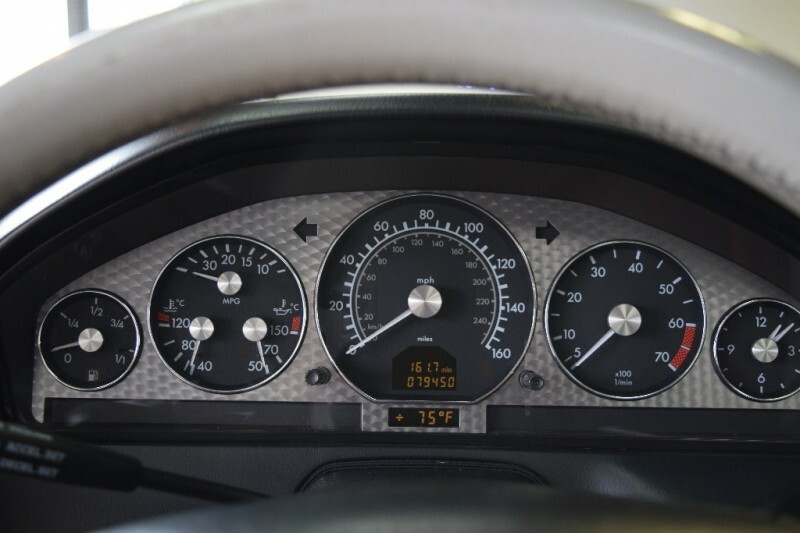 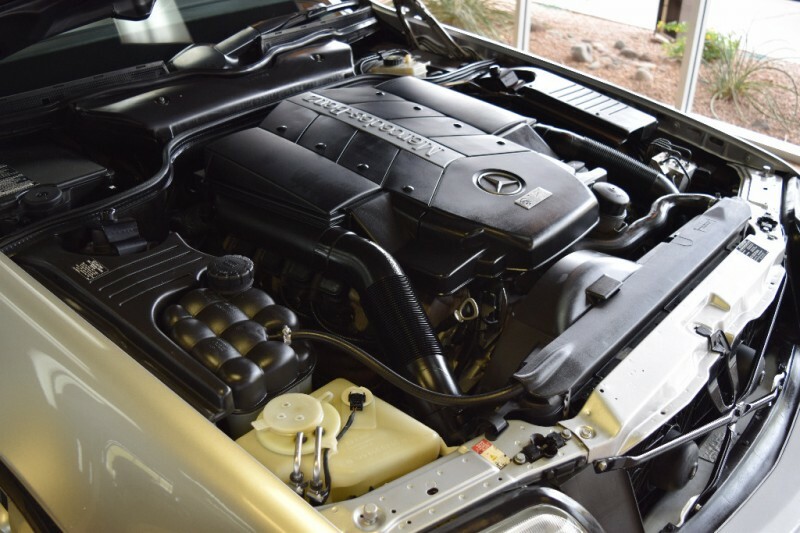 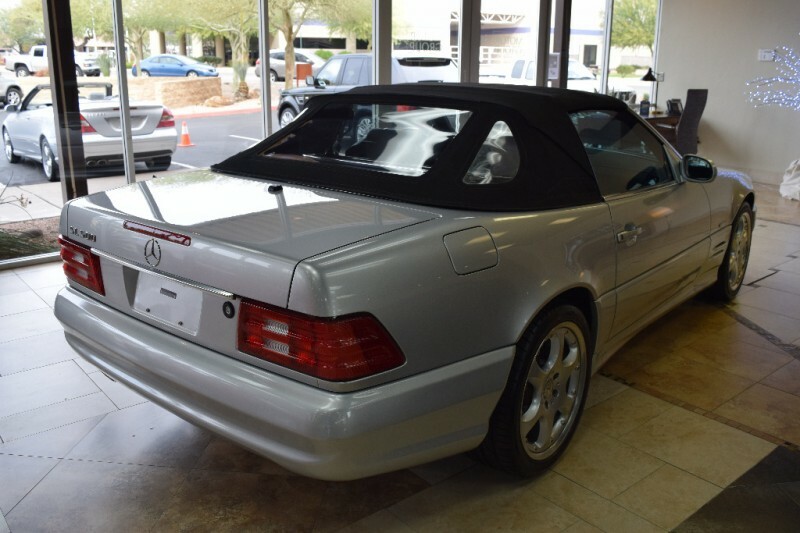 The SL500 SA was powered by the standard 5.0-liter V-8 , painted a special dusty metallic shade – “Silver Arrow” – with unique 6-spoke 18-inch modular alloy wheels. 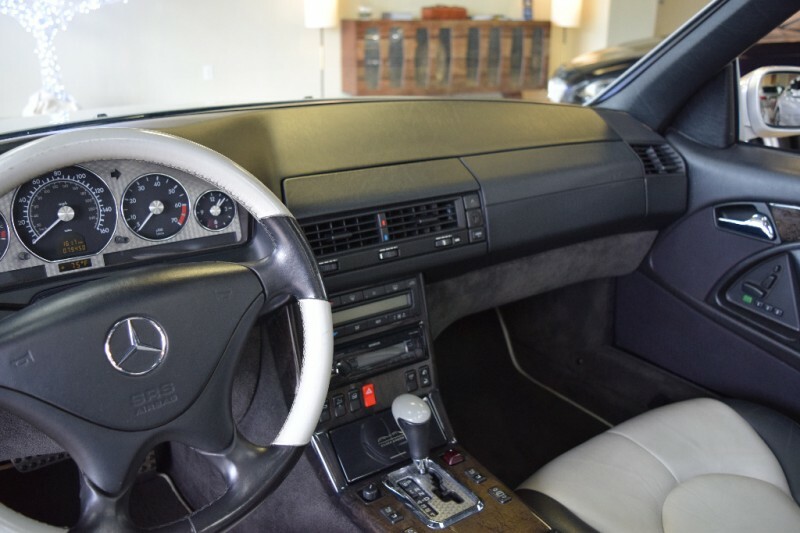 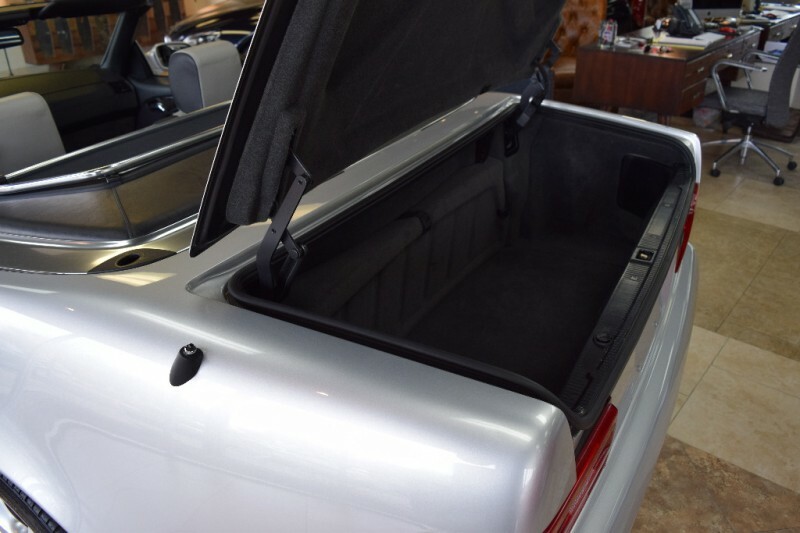 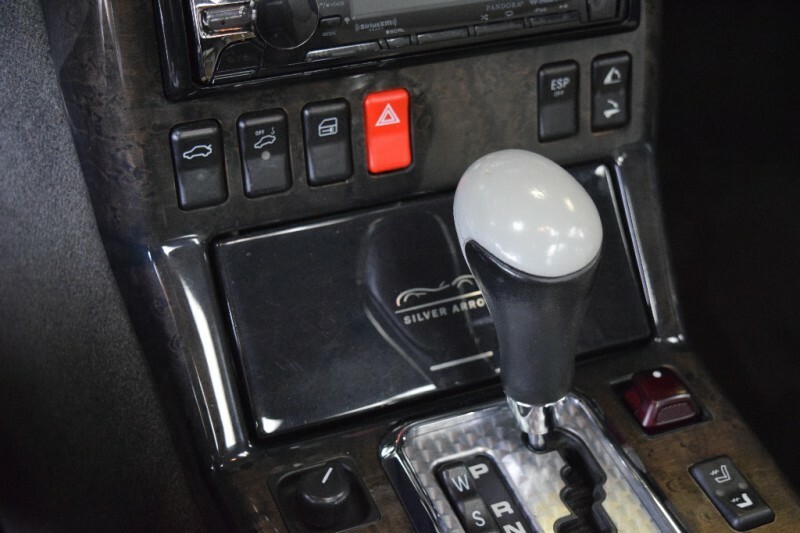 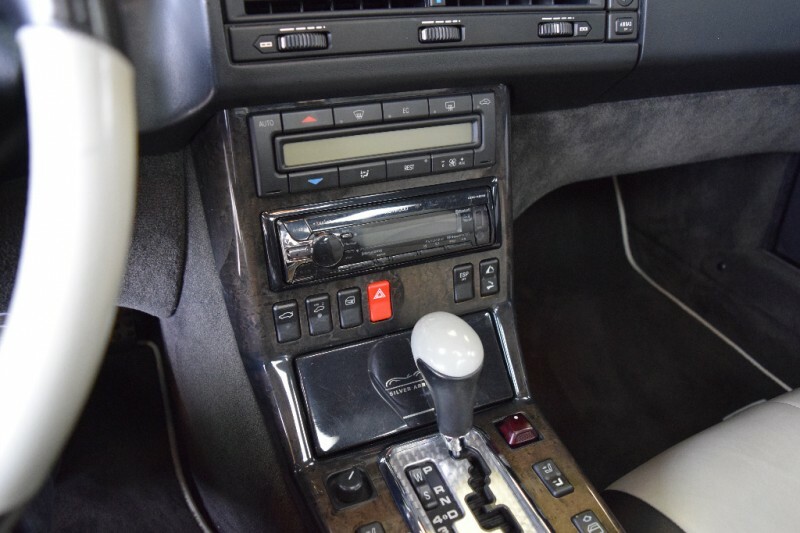 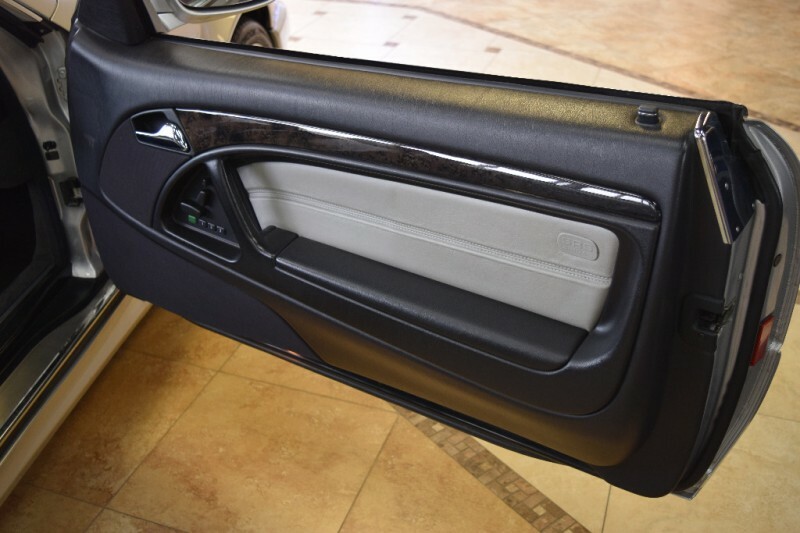 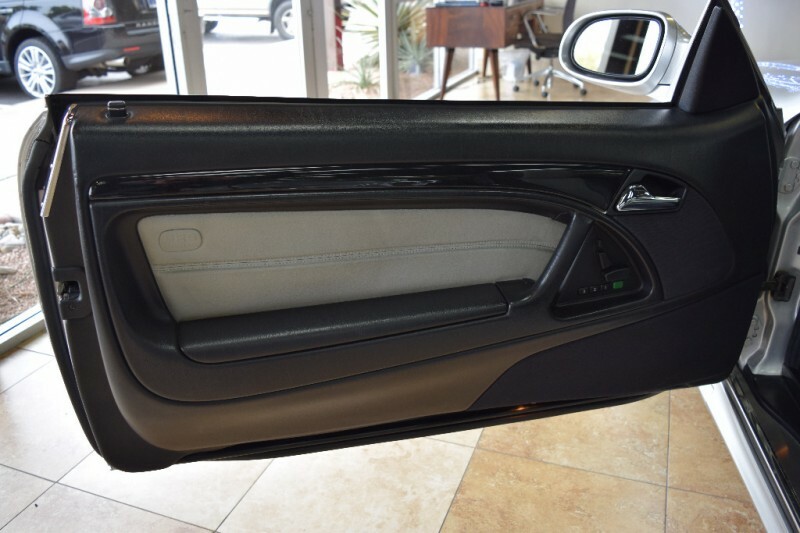 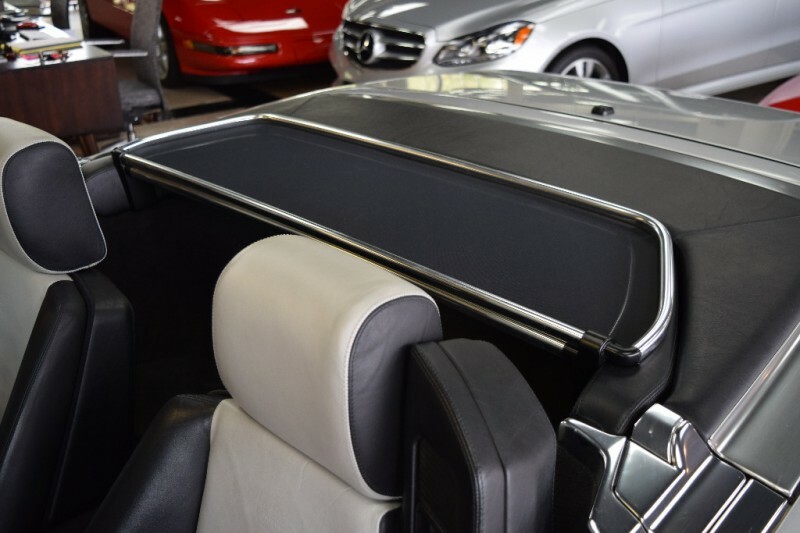 These had several splashes of aluminum exterior trim, a brushed aluminum instrument cluster, and aluminum shift gate, pedals and front grille. 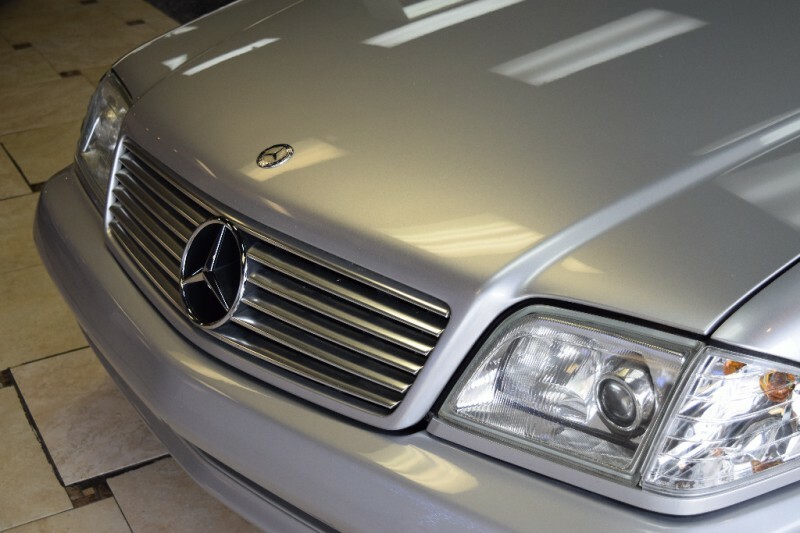 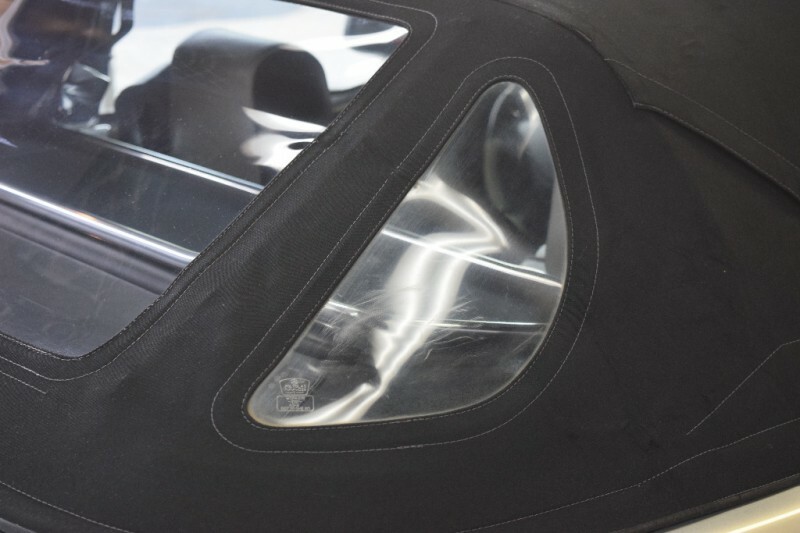 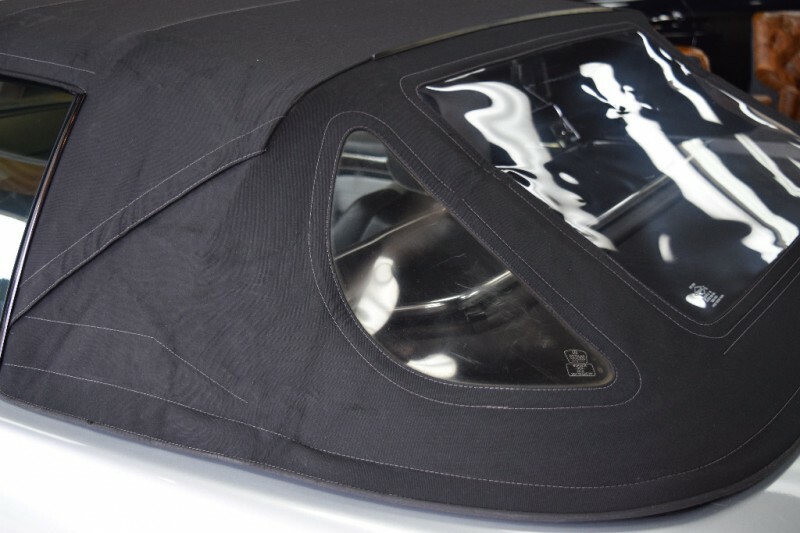 Bi-Xenon headlights were standard, as was a polished stainless steel exhaust tip. 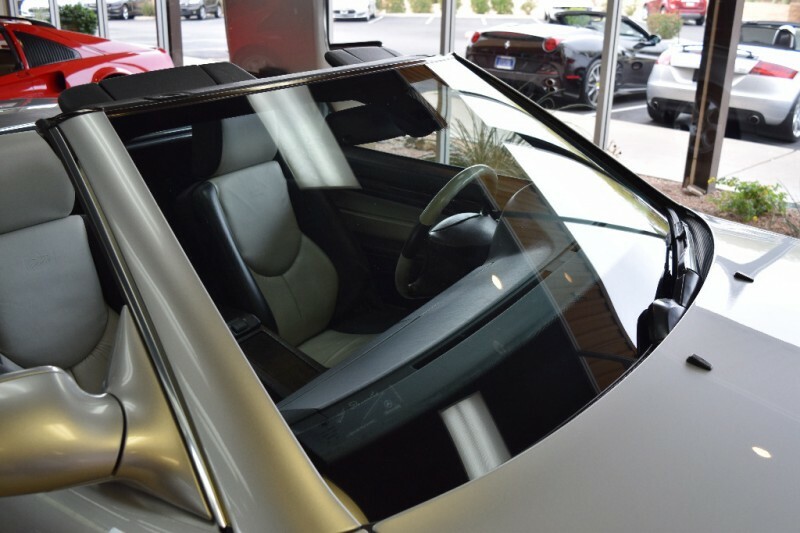 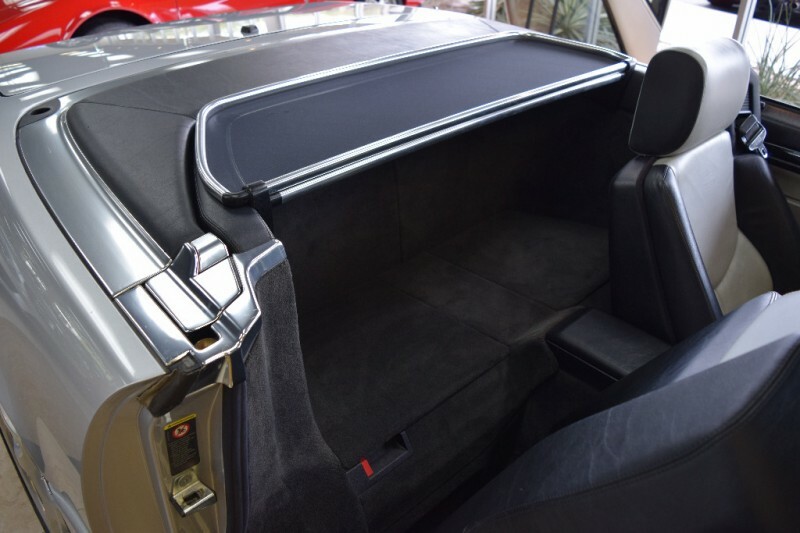 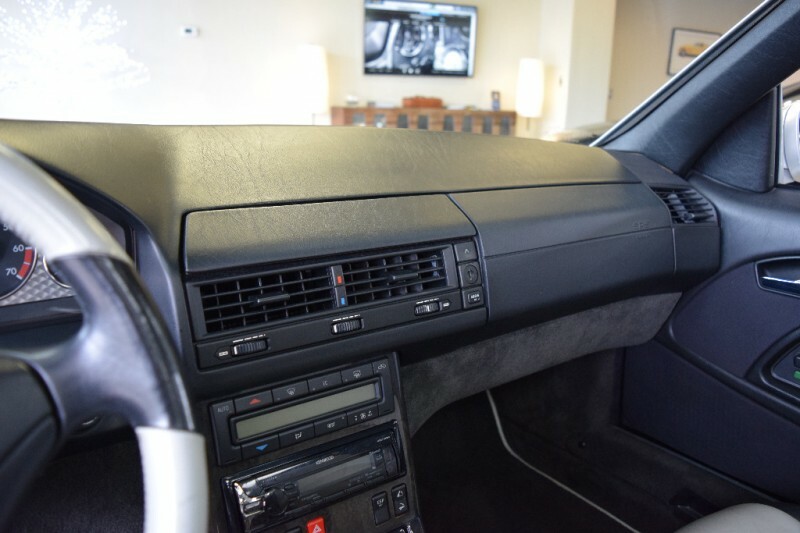 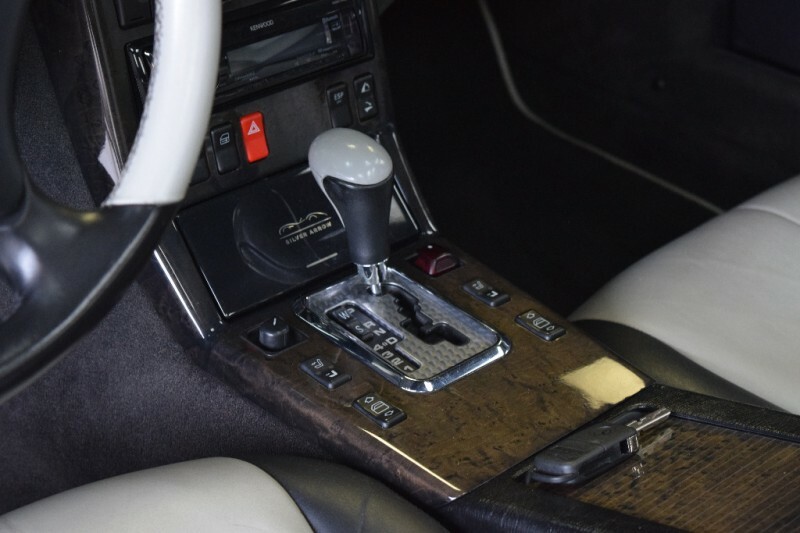 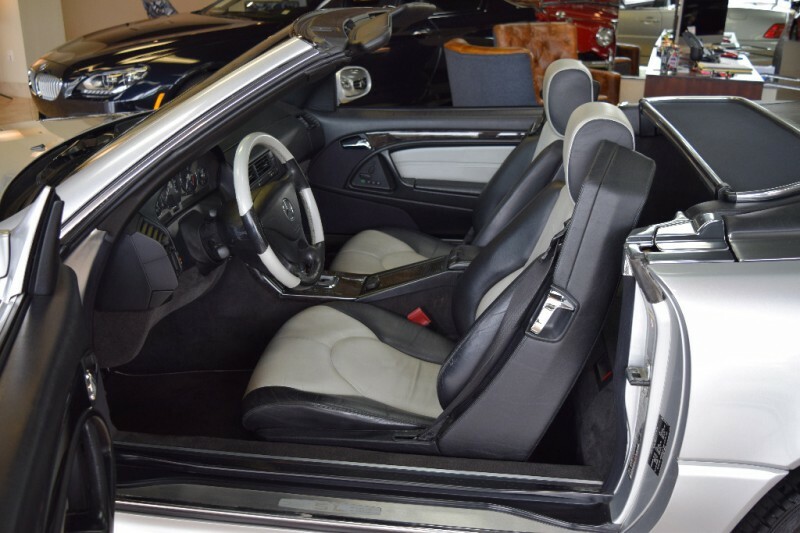 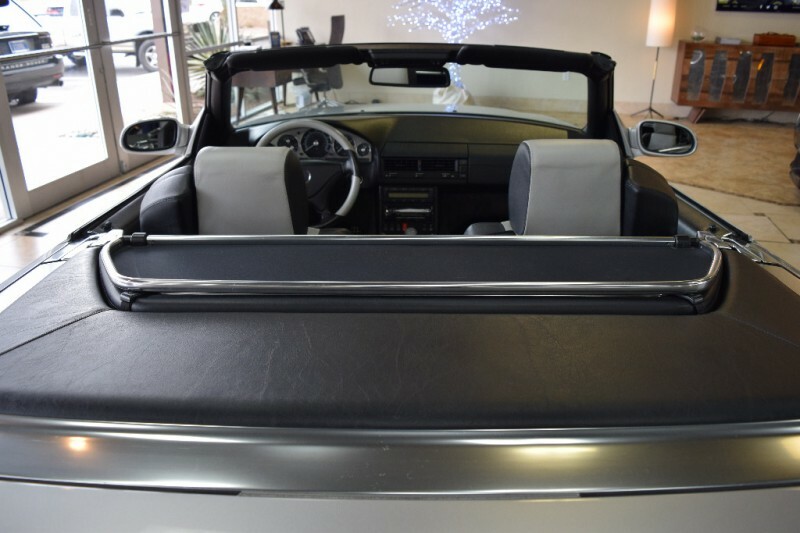 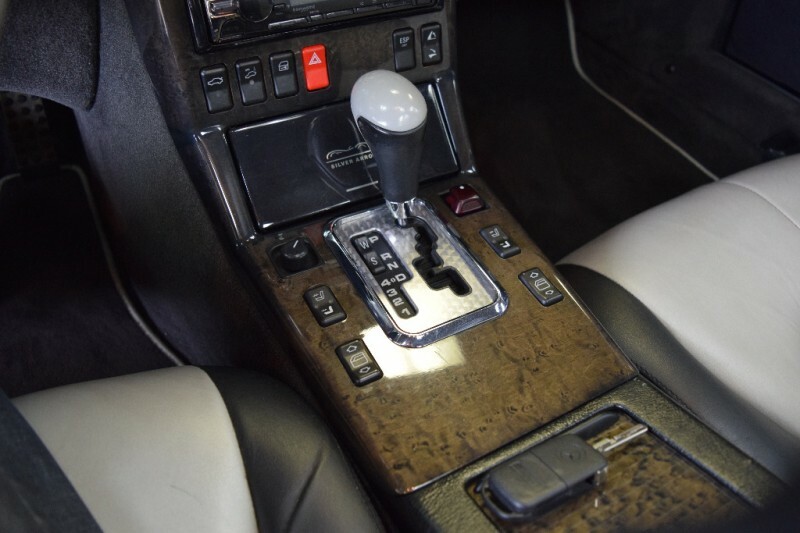 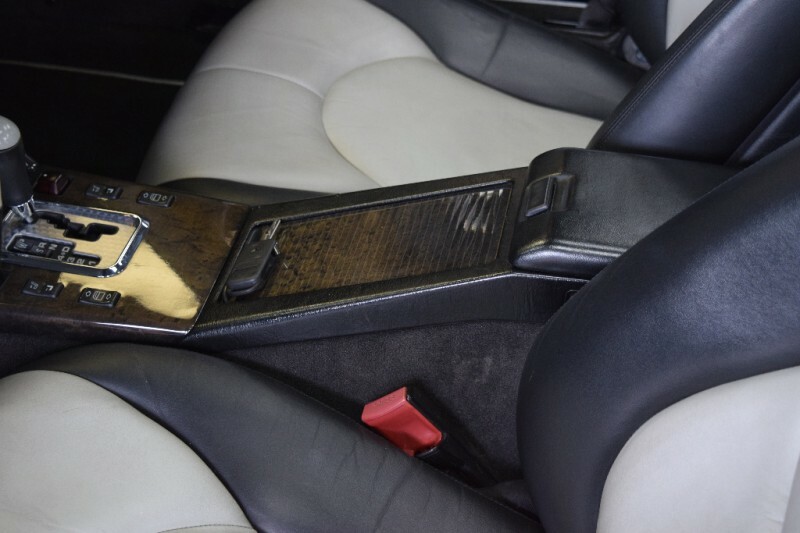 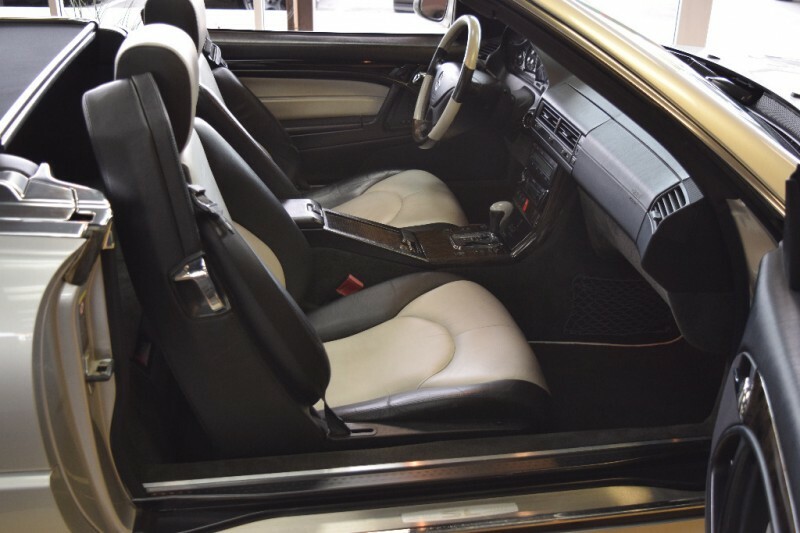 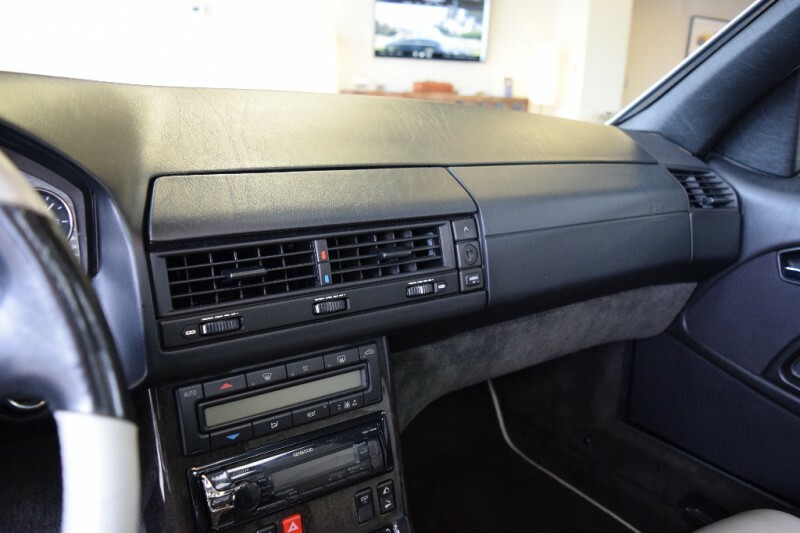 Two-tone grey and black Nappa leather seats, door panels, steering wheel and shifter, with polished grey-smoke walnut trim; the V-12, an all black-leather interior with silver stitching. 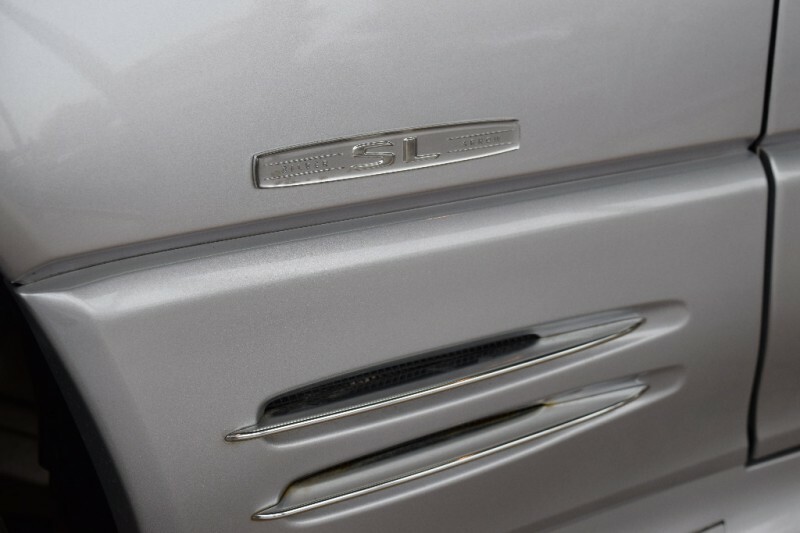 Naturally, there are a few discrete Silver Arrow badges sprinkled about, though nothing over the top. 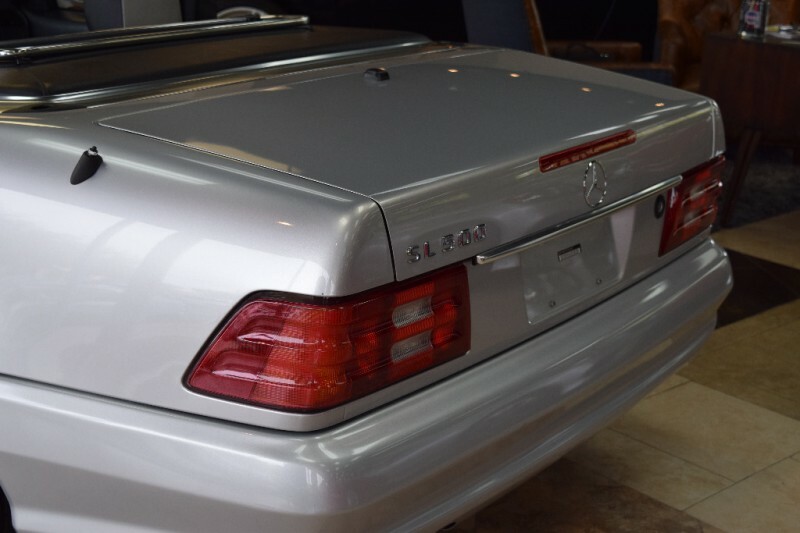 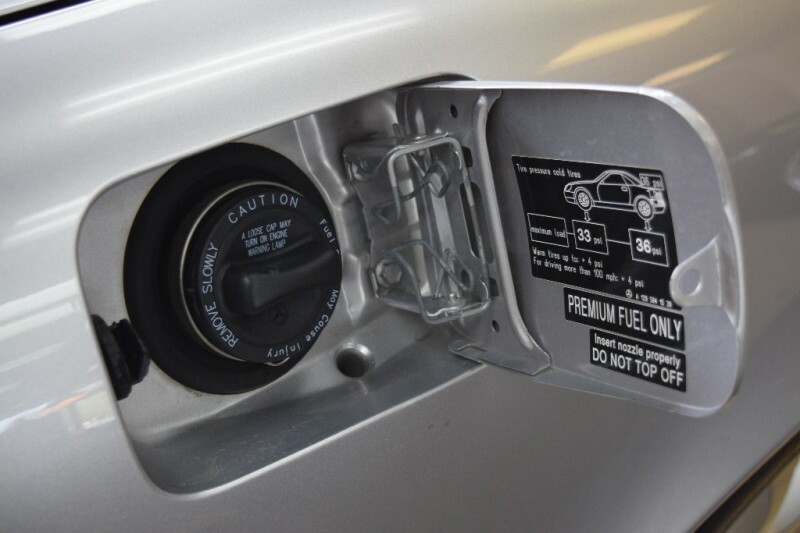 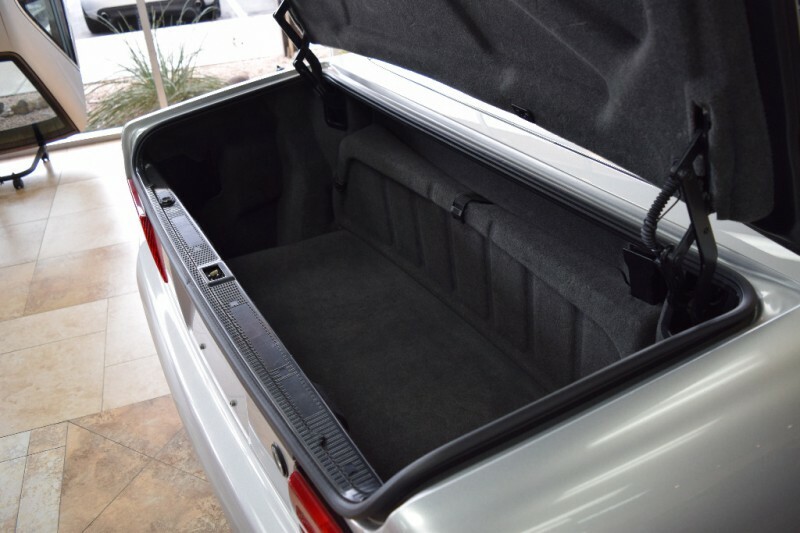 The Silver Arrow models are otherwise fully loaded. 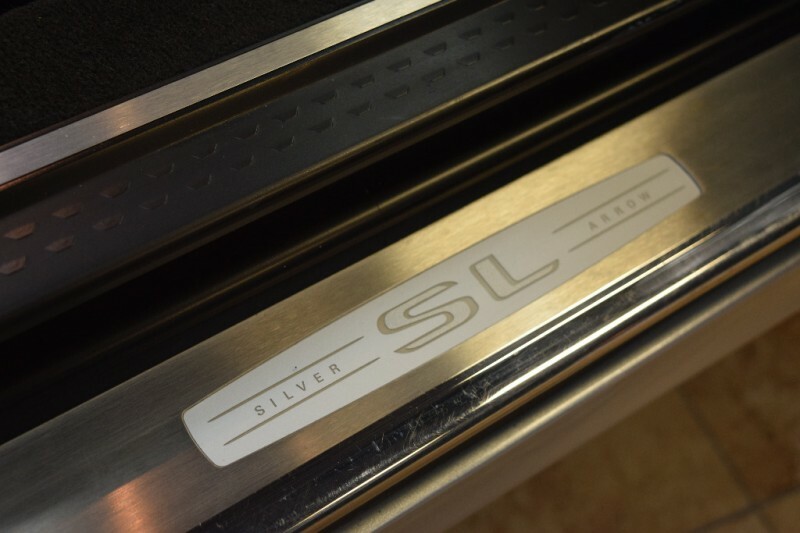 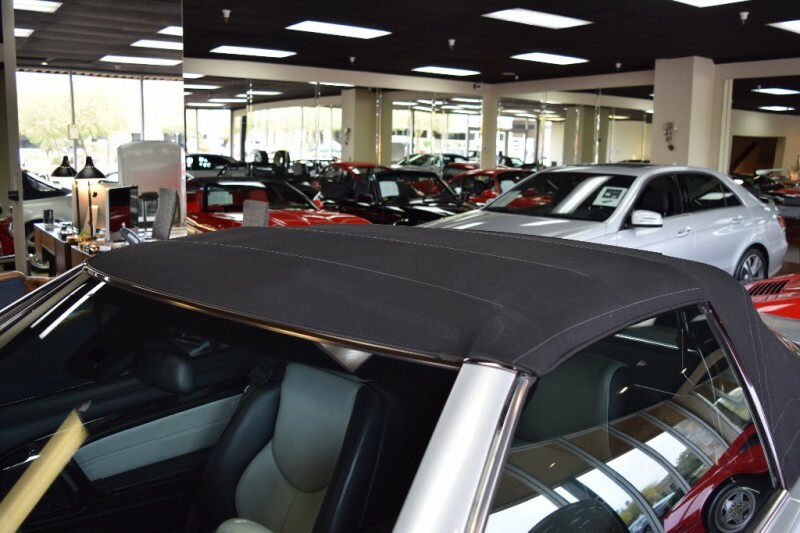 There are no other performance enhancements, per se, other than factory cross-drilled brake rotors – front and rear on both models – and the flip-up wind blocker wears some chrome trim not on the standard edition SL’s blocker. 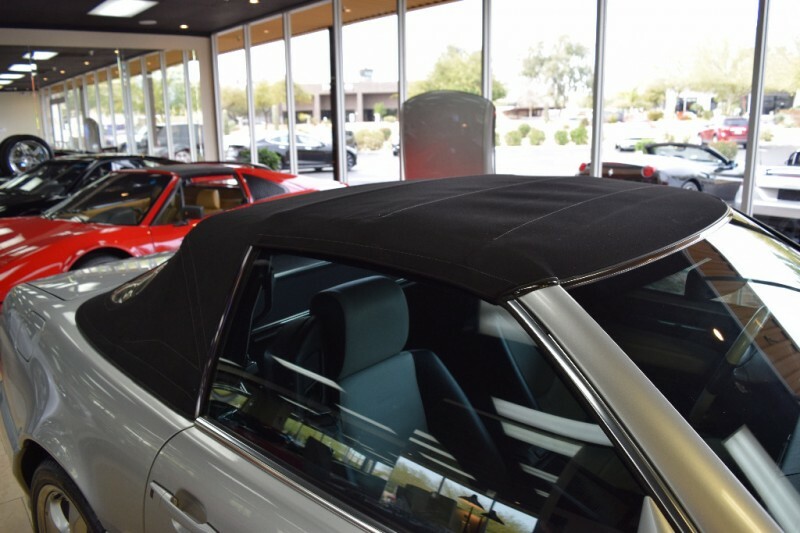 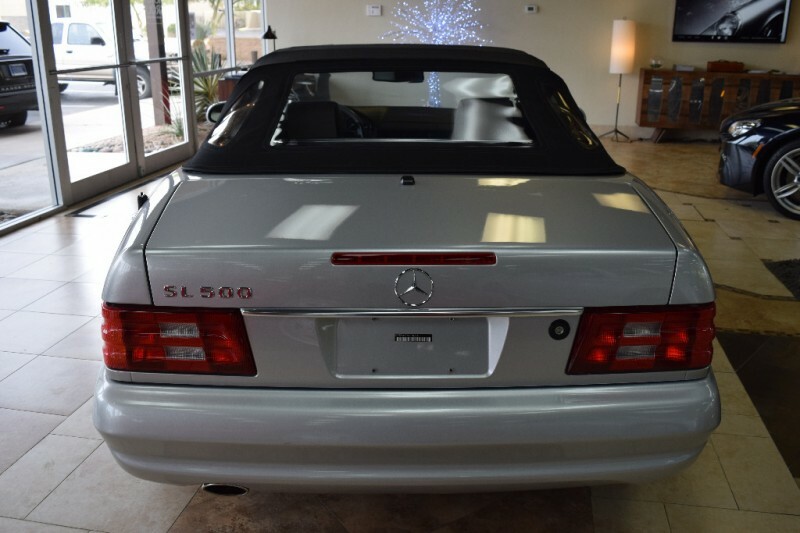 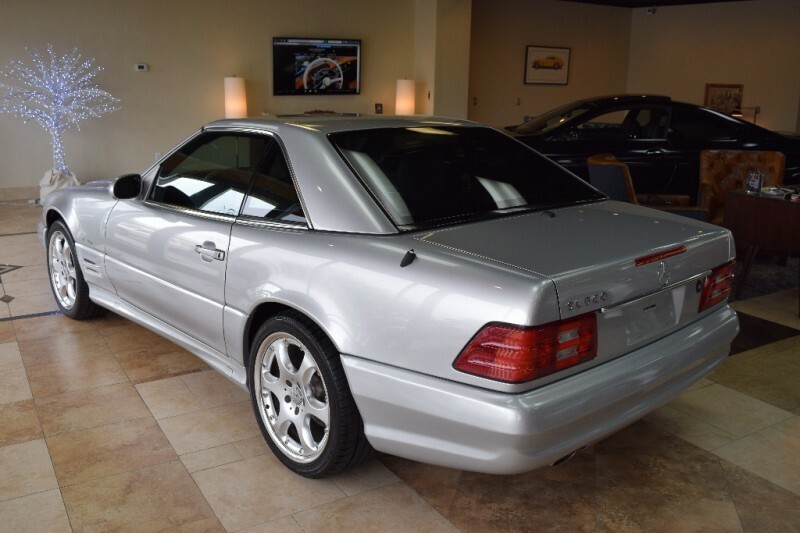 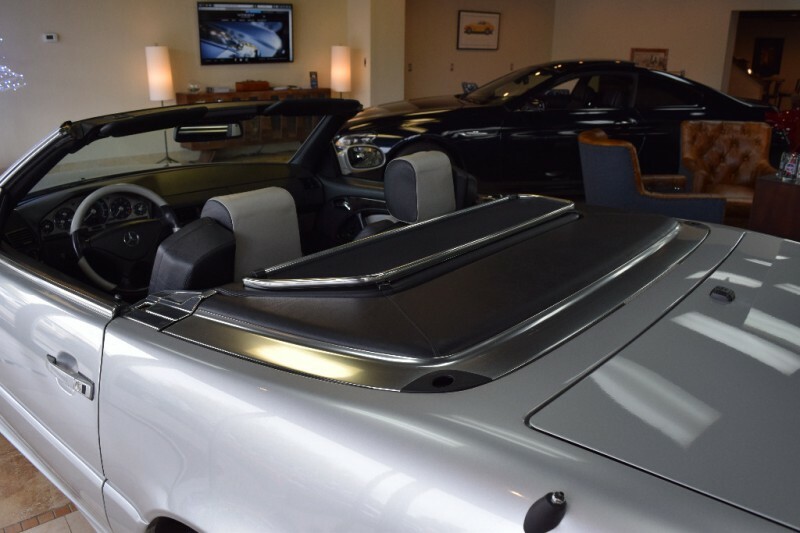 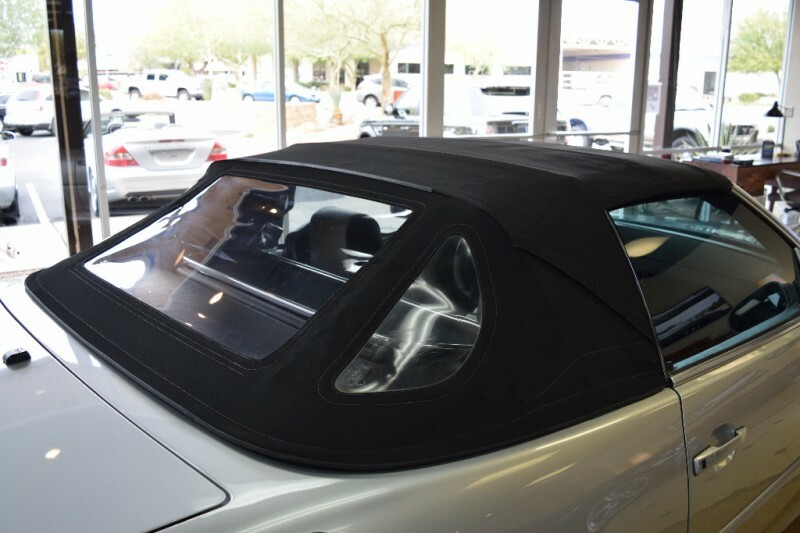 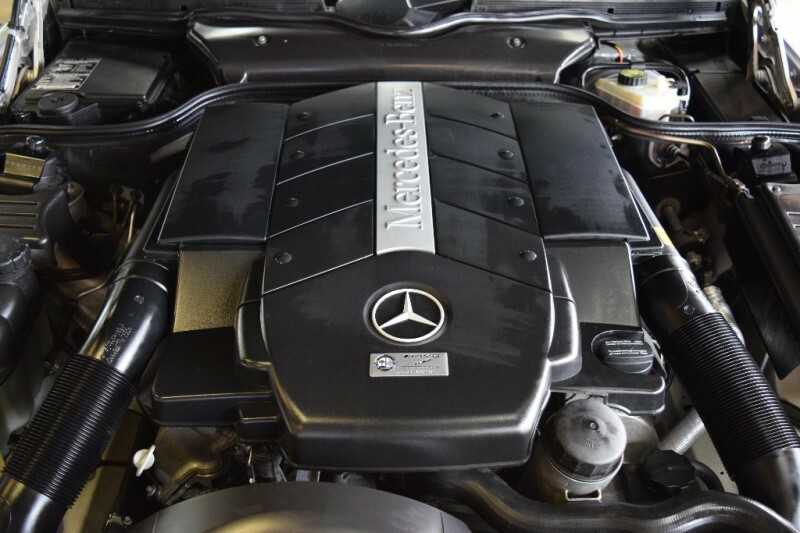 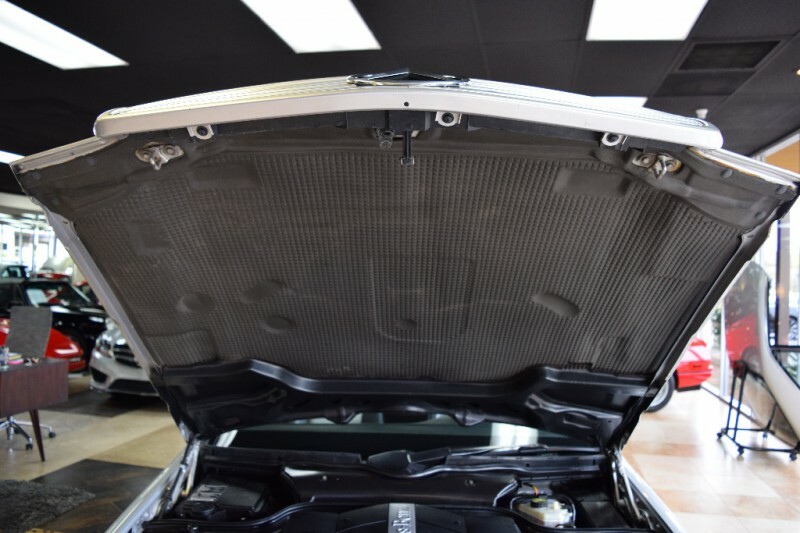 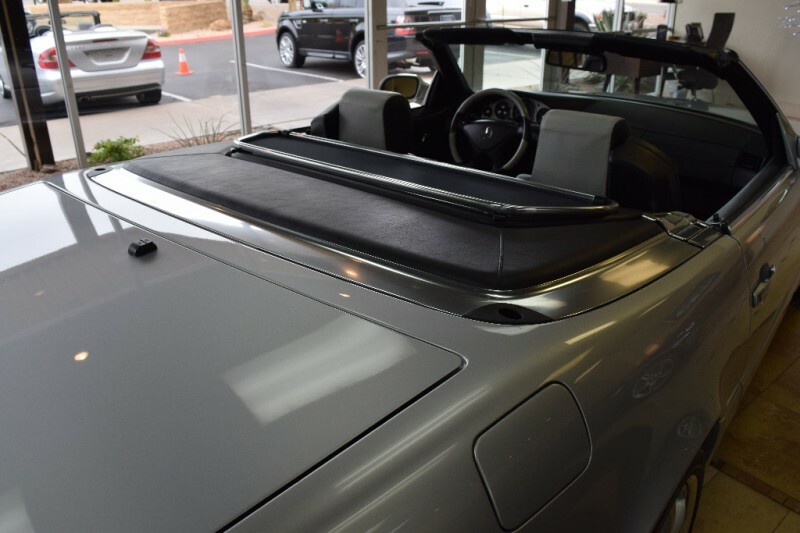 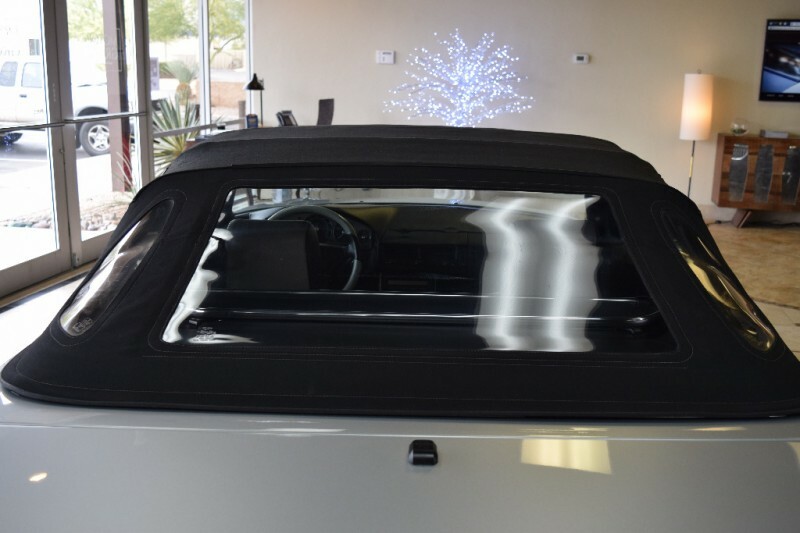 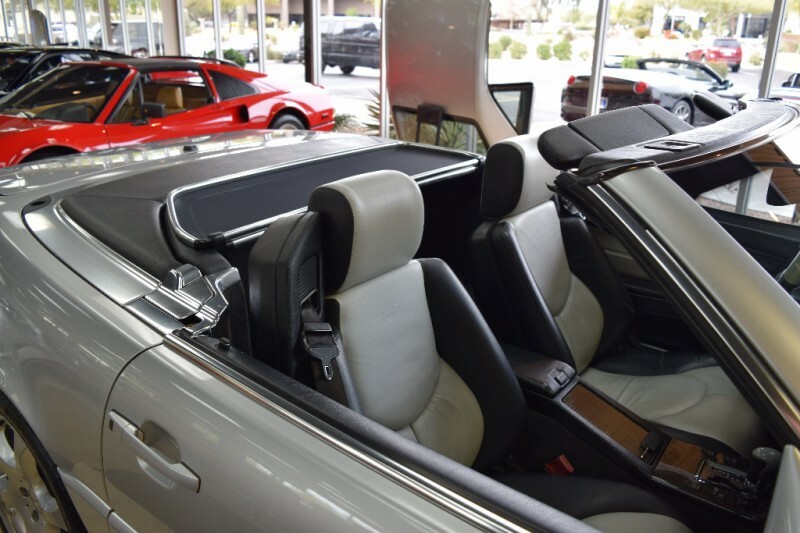 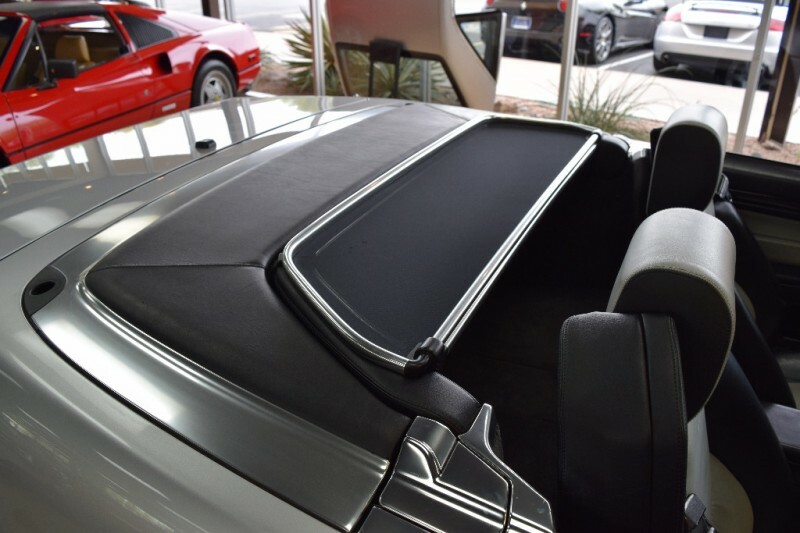 With just 1,400 SL500 SAs built worldwide, truly a unique SL500 to own.